“Resurrection doesn’t mean becoming a spirit but having one’s mortal body transformed into a spiritualized body, a bodily manner of existing wholly animated by the Spirit of God.” — Carl E. Olson, Did Jesus Really Rise From the Dead: Questions and Answers About the Life, Death, and Resurrection of Jesus (Ignatius Press-Augustine Institute, 2016), 172. Grammarians, logicians, and other rare species that care about the meaning and accuracy of words in a language might wonder just what the title of these reflections might mean. First of all, just who is this “Olson”? Are we implying, as the order of the words can mean, that this Olson gentleman has somehow been “resurrected” among us? Just what does “resurrection” mean, after all? Is it just another word for medical “resuscitation” so that, like Lazarus, the revivified will live a while longer only to die again? Does the title refer to those “after-death” experiences that scientists these days are busily investigating? Would not this “resurrected” Olson mean, in logic, that he had been dead for some time so that he might need some assistance in getting back on his feet again? The currently living, after all, do not need to be “quickened”, as they quaintly used to say, though they may need to be incited into thinking accurately about these things. Well, the “Olson” in question is none other than Carl Olson, the editor of this very Catholic World Reportweb site. He resides in Oregon, where no one, based on my numerous visits there, seems to possess, as yet, a resurrected body. I understand, though, that, if someone is in a hurry, the state’s pioneer “assisted death” laws can quickly dispatch anyone from this life into the great beyond. Once there, if he is not happy in his new digs, he might request a resurrected body sooner than he originally thought. Olson is an unabashed fan of the Oregon Ducks, though I am not sure if this adds any further credibility to his well-articulated arguments about the resurrection. I have not yet consulted him on the new mandatory requirement at Oregon State University that every student must undergo “social justice training” to matriculate there. Given what this “training” probably means in terms of ideology, it sounds like a totalitarian mandate if I ever heard one. But Olson lives in Eugene, not Corvallis. In any case, “Olson’s Resurrection” refers to his very readable new book Did Jesus Really Rise From the Dead: Questions and Answers About the Life, Death, and Resurrection of Jesus, which examines, in question and answer form, the basic issues about the resurrection of Christ. A significant amount of literature, one accumulating over the centuries since the event itself, has denied the resurrection of Christ itself or one of its basic implications. Since this doctrine and fact of the resurrection, as St. Paul said in the beginning, are the stones on which the faith rests, the only real way to undermine Christianity is to deny, explain away, ridicule, or otherwise seek to show that such an event never did or could have happened. It was, it is often claimed, contradictory, unscientific, incoherent, unhistorical, or all of the above Many fancy and sophisticated attempts, on-going over the centuries, try to explain that Christ’s resurrection could not possibly mean what it is taken to mean, namely, that Christ did what He claimed that He would do, or what the Father would do for Him. He would rise from a very terrible death administered in Jerusalem at the hands of Roman and Jewish officials during the reign of Tiberius Caesar. Olson recognizes that the only way that one can deal with the denial of something presented as a fact is to examine the reasons and evidence given for this denial. And the historical reasons given are legion. The history of theology and science has been filled with ingenious and fanciful efforts to show why the resurrection never happened. People, especially intellectuals, seem to realize that they must deal with this extraordinary claim that Christ did rise from the dead. For if it is true, it cannot just be passed off as if nothing important for the human race really happened in the cosmos. We could, for instance, maintain that Christ never existed. Problem solved. Olson goes through the evidence given against Christ’s historical existence. It turns out that there is just as much evidence, if not more, for the existence of Christ as for any other historical character of his time. To deny Christ’s existence is a dead end street, followed only by those who choose to be willfully blind to the evidence. Well, let’s admit Christ existed. But He was not God, right? Who was He then? A nice guy? A fraud? An creation of the Apostles? A revolutionary? A madman? A deluded visionary? Each of these avenues has been tried again and again. None of them, on examination, squares with the evidence we have of what Christ was in the era in which He lived. A favorite line is that the risen Jesus was a mythical creation, or some projected spirit of the imagination of the Apostles who, in their disappointment at His death, projected this return. He was never really there. He was only “imagined”. From the evidence, the people who would be most annoyed by this thesis would be the Apostles themselves, whose testimony gives no indication that they ever thought the resurrected Christ was anything but real flesh and blood. As Olson shows, the last people who really expected the resurrection were the Apostles themselves. Right up to the end, moreover, they kept thinking that He would restore the Kingdom of Israel in this world as a political entity. Interestingly, as I have sought to show in my book, The Modern Age, this effort to make a perfect kingdom in this world to be the mission of the collective human race is the principal alternative to Christ’s personal resurrection and what it portends to be the real and final destiny of each human being who ever actually existed in this world. The Apostles were themselves a bit slow to catch on to what Christ was teaching them. Christ was patient with them. He just kept correcting them about what He was talking about. But Christ did what He told the Apostles that He would do—that is, He would suffer at the hands of the Jewish and pagan authorities, die, rise again, and finally return to His Father. This sequence, repeated over and over again in the New Testament, is what happened. After the events and the Ascension and Pentecost, the apostles looked back more carefully on what happened and how they were involved in the whole situation. They began to see that Christ died and rose “according to the Scriptures.” That is how they came to explain what had happened. They learned that Christ’s Incarnation, life, and death, was in fact the central point of the redemptive plan that the Father had worked out all along. Olson examines each principal historical effort to explain why Christ did not rise as He said. Olson examines the Scripture texts and historical evidence the writers give to “prove” that the resurrection did not happen.. He asks whether the objections make sense. It usually turns out that the efforts to explain away Christ’s reality as both man and God are themselves flawed in a seriously unreasonable way. These efforts are usually based on some overarching philosophical, psychological, or historical theory that sees all things in its light, not the light of facts or common sense. The really frightening thing for many critics is that the evidence rather points to the truth of what Christ said He was. The refusal to accept the evidence leads to all sorts of vague, silly, or imaginary theories that really cannot be sustained. As I have often remarked, the real fright that Catholicism causes in the modern world, why it is itself currently under such intense worldly pressure, is based precisely on the kind of evidence that Olson cites. What it says about Christ and the resurrection is true. The root disorders in the modern world all stem from the rejection of this truth and the logical consequences of what this rejection means. 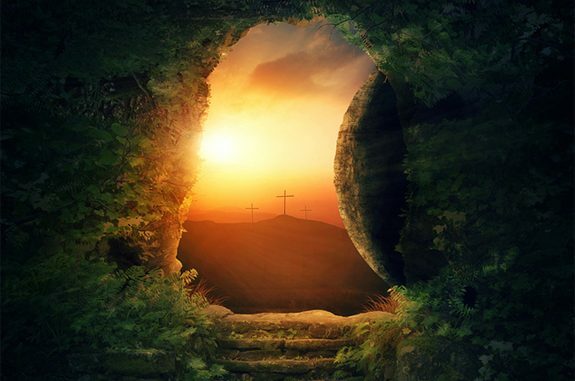 Much of the turmoil in the modern world, along with most of the discord in ancient and medieval times, arose from efforts to deny one or other truth about who and what Christ was, especially the resurrection. Olson recounts these issues well. As he notes, Benedict XVI’s three volume Jesus of Nazareth, carefully goes through all of these issues and the scholarship or lack of it on which it was based. If one wants to be an agnostic or atheist, it is probably good not to look too carefully into the evidence for the resurrection and its meaning. A most useful aspect of Olson’s book is the detail that he goes into about each passage in Scripture in which some aspect of the resurrection is involved. Msgr. Robert Sokolowski has often remarked, notably in his essay on the Eucharist in his Christian Faith & Human Understanding, that it has been the Incarnation, not the existence of God, that has caused the most difficulty. Olson does a very good job in dealing with recent New Age and other spiritualist theories, that always want to spiritualize man as if he did not have or need a body. The questions of body and what kind of a body Christ had often come up in these discussions. Olson is careful in keeping two things in mind: the Incarnate Christ has a body and the resurrected Christ has a body. They are the same body and the second is still a body that makes a part of a real human, and in this case, a divine person. In this sense, Scripture is closer to Aristotle than to Plato about the soul. Msgr. Sokolowski’s essay in Christian Faith & Human Understandingon the difference between soul and spirit is fundamental here and illuminates Olson’s discussion of St. Paul’s discussion of a “spiritual body”. The resurrection of Christ is directly related to three basic human issues: 1) the permanence of friendship, 2) who can see or live the inner life of God, if offered, and 3) the problem of justice. The classical tractate on friendship is meaningless without the doctrine and reality of the resurrection of the body. Without it, all friendships are essentially meaningless and transitory, contrary to their root meaning. So is the teaching in Plato and Scripture about justice and the consequences of sin. The doctrine of eternal punishment is premised on the resurrection of the body. What is to bear the consequences of sin is our whole being, that being that freely caused the problem in the first place. Benedict XVI discussed this well in Spe Salvi. What is resurrected is the body, that is, the whole being, not just the immortal soul. The Greek doctrine of the immortality of the soul contained a truth. This teaching is necessary to explain how it is that the person who dies and the person who is resurrected is the same person, not some new being created at the end. All hope of eternal life depends on this connection. If resurrection has nothing to do with what dies, it is of no use or significance. In this sense, what bears so-called “social being”, that is states, cities, communities, are the persons who compose them. States, corporations, communities, or groups are not as such “substantial beings”. They are orders or relations of persons who bear the reality of being. The resurrection of the body is thus the completion of Aristotle’s tractate on friendship as well as Plato’s tractate on justice. In other words, revelation’s indirect effect provides the solution to two otherwise insoluble problems in philosophy. Without their right understanding, the natural order is incoherent in its ultimate reaches. But philosophy was right in its basic instincts. Aristotle had noted that there is a certain “immortality” connected with the polity. That is, it lasted longer than the individual lives of the citizens who composed it at any given time. But it was not itself a being or a person. It was a relationship of beings, each of whom is created for an eternal life within the Godhead, which is itself Trinitarian, that is, a communion of persons in what is true. But each person also has to decide whether he wants the transcendent life that is freely offered to him. This decision is, basically, what this world is about. It is not about creating some form of inner-worldly happiness down the ages whereby one generation exists for the good of the subsequent one. It is not about genetically or politically reconstructing the human body and its intrinsic male-female relationship. The doctrine of the resurrection is that doctrine that grounds the ultimate dignity and transcendence of each person over the city. It is the guarantee that each person is made for the City of God. So let me return to Olson’s insightful book. It is not true that there are no objective, scholarly, well-researched arguments that establish the truth of the resurrection of Christ and who He was as the Word made flesh. It is true that many people do not know these arguments and studies. It is also true that many others know of their existence but refuse to listen to them because they do not want them to be true. But it is not true that arguments and evidence do not exist or that they are not persuasive. Olson has given a very good summary and survey of these issues. This presentation is the great value and usefulness of this book. On reflection, on reading “Olson’s resurrection”, the one doctrine that is most amazing and gladdening to what man is, that is, the resurrection of each human person, in his complete wholeness, is what each life is about. Our freedom is such that this invitation can be rejected, usually on the grounds that we find something better on our own. The fact is, we do not. What I liked about Olson’s book was its determined endeavor to do what Catholic thought, at its best, has always sought to do—to ask the truth question of every effort to deny it. Catholicism has no problem with people objecting to what has been handed down to it. What it objects to is the ease with which one refuses to face the evidence for what in fact happened. Catholicism is an intellectual faith that is open to and rejoices in the efforts to find the truth, including the truth of its own teaching. We live in an age that does not think that it has to deal with truth questions that arise from revelation. It is perhaps no accident that this same age no longer really understands what each of us ultimately is. Olson’s book, I think, is a good way to open our minds that we need to reconsider the whole of the reality that we are in the processes of systematically rejecting, the reality, that is, of the truth that has been addressed to our minds in revelation. James V. Schall, S.J. taught political philosophy at Georgetown University for many years until retiring in 2012. He was the author of numerous books and countless essays on philosophy, theology, education, morality, and other topics. One of his last books was On Islam: A Chronological Record, 2002-2018 (Ignatius Press, 2018). He died at the age of 91 on April 17, 2019. Visit his site, "Another Sort of Learning", for more about his writings and work. Judy ahaddad: He is upholding his commitment to not fund, with taxpayer dollars, killing people because they are inconvenient.